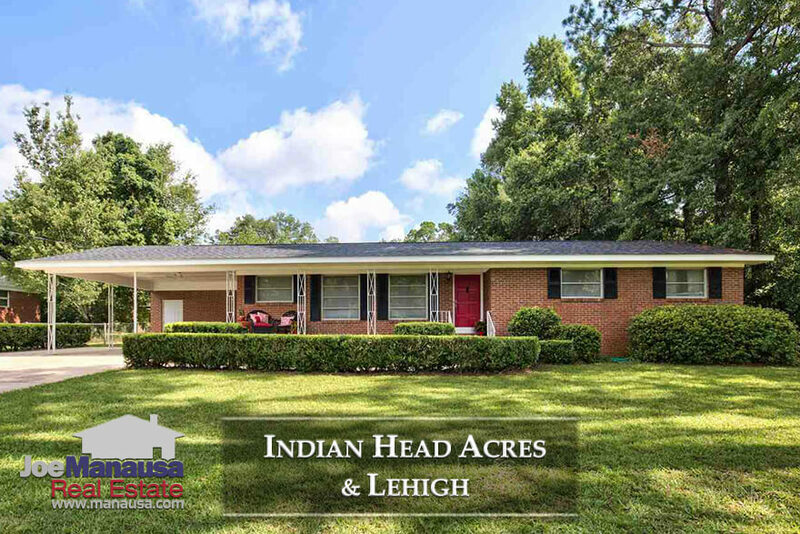 Indian Head Acres & Lehigh are two popular in-town neighborhoods located across Apalachee Parkway from the Governor's Square Mall. 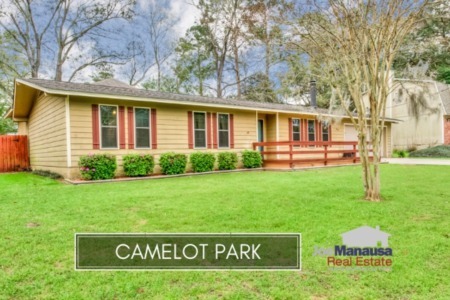 Featuring three and four bedroom homes on very large lots, you'll be amazed when you realize how affordable these homes remain today. It is important to note that the narrative contained below is for sales through December for all previous years, but through the fourth week of August in 2018. The graphs and the closed sales table will be continuously updated into the future (meaning bookmark this page if you always want to know the current status of homes in Indian Head Acres and Lehigh). Home prices continue to recover in Lehigh and Indian Head Acres. The average price of a home sold in 2018 has been $172,400, and it won't be long before $200K averages are seen here. Home sales activity for Indian Head Acres and Lehigh is extremely strong right now. Currently, there are 18 homes for sale in Indian Head Acres & Lehigh, and 6 are already under contract. Average home values in Indian Head Acres have moved much higher in 2018, and the graph below shows just how exciting it has been for home sellers. The average value of a home sold in Indian Head Acres this year has been $123 per square foot, which is not far off the all-time high set in 2006. Earlier this year our company was hired to list and sell this home. 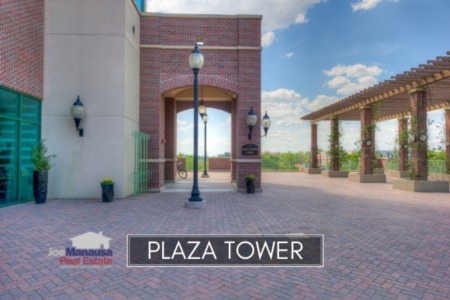 We procured multiple offers and the seller received more than $133 per square foot. When you combine "location" with abundant lot sizes, great marketing will pull in buyers at much higher values. The average home size sold in Indian Head Acres typically falls in a range of 1,300 to over 1,500 square feet, and we are seeing the same in 2018. The 26 home sales thus far in 2018 have averaged 1,444 square feet. This concludes our August 2018 update on home sales in Indian Head Acres & Lehigh, please give us a call at (850) 366-8917 or drop us a note if you have questions about these popular in-town neighborhoods. Have you heard the good word? 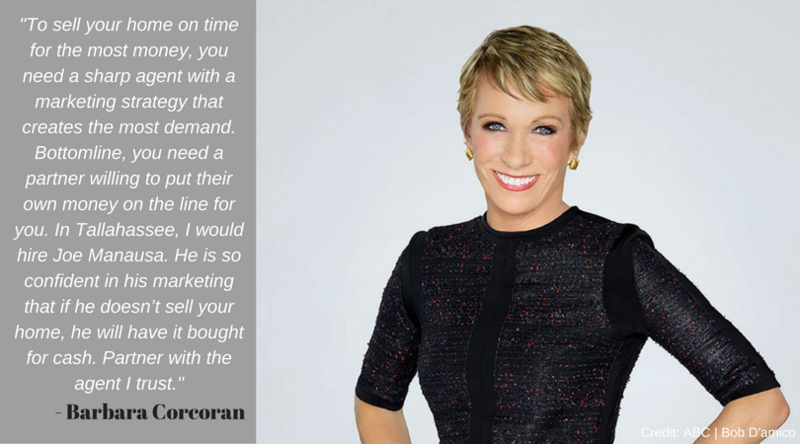 Here's what people are saying about working with Joe Manausa Real Estate, they have left hundreds of real customer reviews on Google, Facebook and Zillow and you can see them right here: http://www.manausa.com/testimonials.